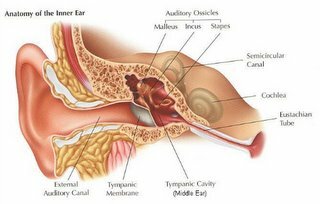 My tympanic membrane is making me miserable. How is it that such a tiny part of the body can cause such fits? I am a person who needs constant beautiful sound and this problem is cramping my style. Sorry to hear it -- I hope everything clears up for next weekend!